The Irvine Company grew from the premise of a 185-square-mile (480 km2) ranch founded by James Irvine I,Benjamin and Thomas Flint, and Llewellyn Bixby in 1864 from three adjoining Mexican land grants. 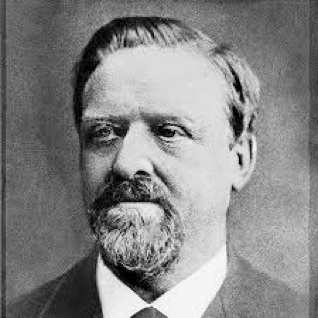 Irvine and his partners began by purchasing the Rancho San Joaquin, which constitutes the coastal half of the present-day ranch, from Jose Antonio Sepulveda. A drought that killed his livestock forced Sepulveda to sell his ranch in 1864. The partners purchased Rancho Lomas de Santiago—largely unfarmable due to its steep, hilly terrain—in 1866 from William Wolfskill, who had used it largely as a sheep ranch. Flint, Bixby and Irvine were among the claimants of a title lawsuit that divided Rancho Santiago de Santa Ana in 1868. Unlike other early Newport Beach landowners, Irvine and his partners had no interest in subdividing and selling, intent, instead, upon identifying the most lucrative agricultural uses for their enormous tract of land, spanning over 100,000 acres. Irish-born Irvine met Collis Huntington, soon to become one of the Central Pacific Railroad magnates on the trip across the Atlantic. Rather than cementing a friendship, a disagreement that lasted throughout their lives resulted. When Huntington’s Southern Pacific Railroad needed Irvine’s land for its route between Orange County and San Diego, Irvine refused. When Southern Pacific crews began laying tracks on Irvine land without permission, ranch hands with shotguns confronted the crews. Eventually, Irvine gave the Santa Fe Railroad permission to build on his ranch. 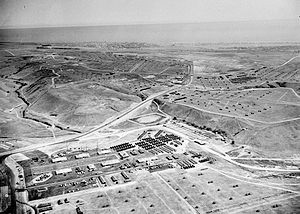 In 1953, the National Scout Jamboree was held on Irvine Ranch land in the area of what is now Fashion Island Shopping Center. Jamboree Road, running from Newport Beach to Orange, was built to allow people to travel to the jamboree from nearby train stations. In 1959, the Irvine Company donated 1,000 acres (4.0 km2) and sold 500 acres (2.0 km2) near Newport Beach to the University of California for construction of a new UC campus. The university and company together designed the Irvine Ranch Master Plan for developing the surrounding area. The city of Irvine, whose citizens officially incorporated it in 1971, grew around the campus. By the late 1970s, the Irvine Company had ceased its cattle business altogether. In 1977, real estate developer Donald Bren began buying Irvine Company shares from the Irvine family. With the Irvine Company’s cattle operations finished, the Irvine Company sold the Bommer Canyon area to the City of Irvine between 1981 and 1982. The City of Irvine purchased the land with grants obtained from the 1974 California Bond Act. By 1983, Bren was the majority owner of the Irvine Company. By 1996, he had purchased all outstanding shares to be the sole owner of the Irvine Company. The Irvine Company develops suburban master-planned communities throughout central and southern Orange County, in addition to residential buildings in Santa Monica, Silicon Valley, and San Diego. The company also owns and manages office buildings in Milpitas, San Jose, Sunnyvale, Downtown San Diego, Mission Valley, San Diego, La Jolla Village/University City, Sorrento Mesa, Del Mar Heights, Newport Center, UCI locations, West Los Angeles, Pasadena, and Chicago. Donald Bren is its Chairman and sole shareholder. The 94,000-acre (380 km2) Irvine Ranch remains the core holding of The Irvine Company. Of the total ranch area, 44,000 acres (180 km2) is retained for development whilst the remainder are preserved as wilderness and recreational preserves collectively known as the Irvine Ranch Natural Landmarks. The Ranch encompasses almost one fifth of Orange County, from the Pacific Ocean and Newport Harbor, Laguna Beach, and Santa Ana Canyon, to the boundary of the Cleveland National Forest. The Irvine Company owns several large retail centers, including The Market Place and Irvine Spectrum Center in Irvine, and Fashion Island in Newport Beach, which is surrounded by the prestigious Newport Center commercial area. 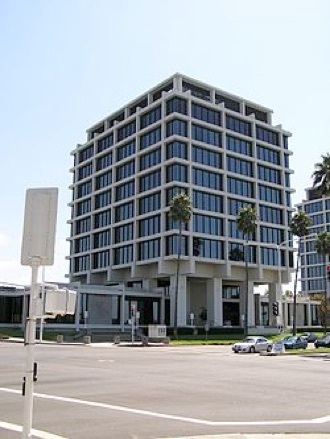 The Irvine Company also holds many office properties, particularly in Irvine and Newport Center, & the Fox Plaza in Century City, Los Angeles, and has nearly 500 throughout Coastal California.